Nice looking VF available, but 10,500 pounds? Re: Record Price for 'E' series? Wow, that's big money. be interesting to know what it actually sells for. If it sells high that's good news for the rest of us I guess. Seems unlikely though. It's a classified and not an auction, so VERY unlikely will sell at that price. 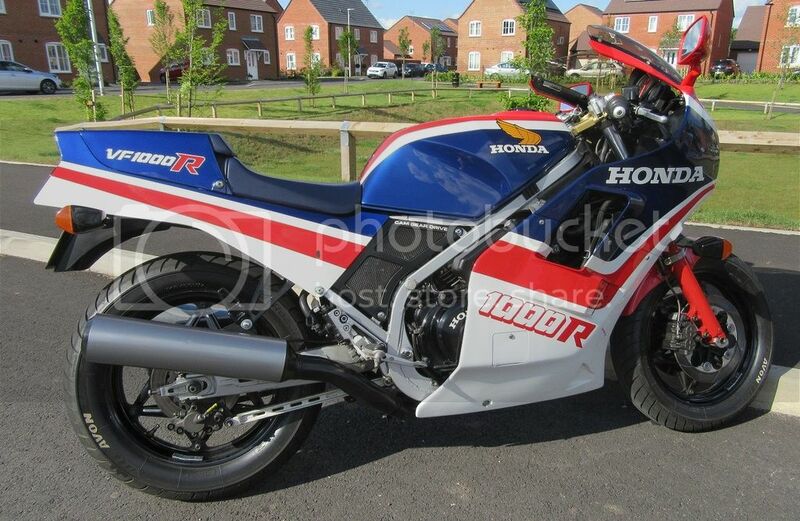 Seems strange that for a 6,000 mile bike, it's been totally reworked and resprayed. I think that might turn away the 'genuine' appreciators of original bikes. Other point is that people seem to think that even average condition bikes are worth heaps. As we all know, they're only worth what the market will pay. Fortunately, the market DOES recognise the occasional gem and those few bikes will justify their cost. On another point, we seem to be getting an influx of USA imports under the suspicious headings of 'barn finds'. You guys must have friggin' scouts searching every barn in every county for bikes to send to UK. This implies that the bikes are very affordable in USA/Canada, and some backyard entrepreneurs are able to justify transportation to UK and still make a healthy profit.